From the country of pizza, pasta and wine there is also whisky! Most commonly known are those from the Puni Whisky Distillery in the north of Italy. 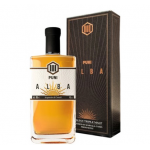 The Puni Alba is a 2 year old spirit drink from the Puni Whisky Distillery in northern Italy. A s.. 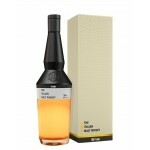 The Puni Gold is a 5 year old Italian single malt whisky from the Puni Whisky Distillery in north..